5. Let's play hungry, hungry black holes! 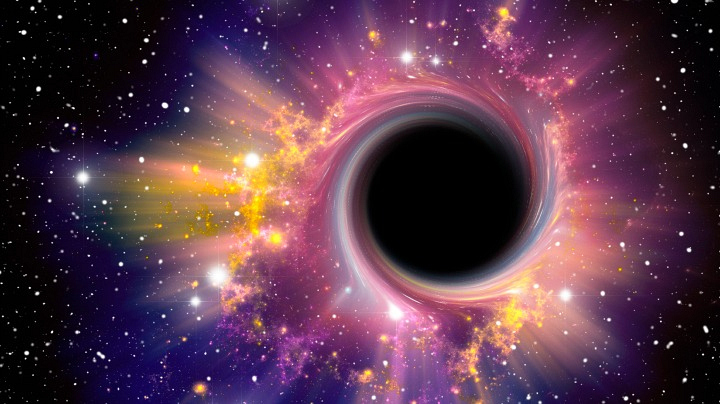 Black holes are gigantic cosmic monsters that have less self-control than a teenager. Nothing—not even light—can escape their clutches. They come in a variety of forms: small, large, or worse—rogues. When galaxies collide, black holes can get bounced away from the site of the crash and basically roam about space like belligerent bullies. Should you encounter one, put your tray table in the upright position, place your head between your knees, and hold on tight. Maybe our planet will just get ejected entirely out of the galaxy and find a cozy orbit somewhere else.